Round Table Pizza’s tagline is “the last honest pizza.” The restaurant chain has built a legacy on pizza made from quality ingredients and family-friendly establishments. Even better? The pizza chain delivers your favorite pizza straight to your front door! 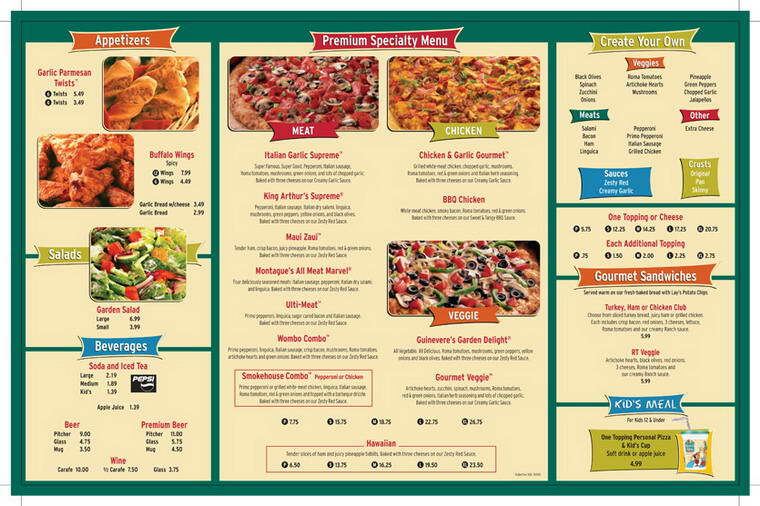 Learn more about Round Table Pizza’s menu and delivery options below. Round Table Pizza’s origins story is as quintessentially American as the pizza it serves. The chain got its start in the late 1950s in Menlo Park, California. Its founder, Bill Larson, was a World War II vet who worked at a pizza establishment after serving his country. He loved what he did so much that he borrowed $1,800, quit his job, and opened up his pizza place. Larson called it Round Table Pizza and that small neighborhood restaurant can now boast that it was the first of almost 500 around the world. 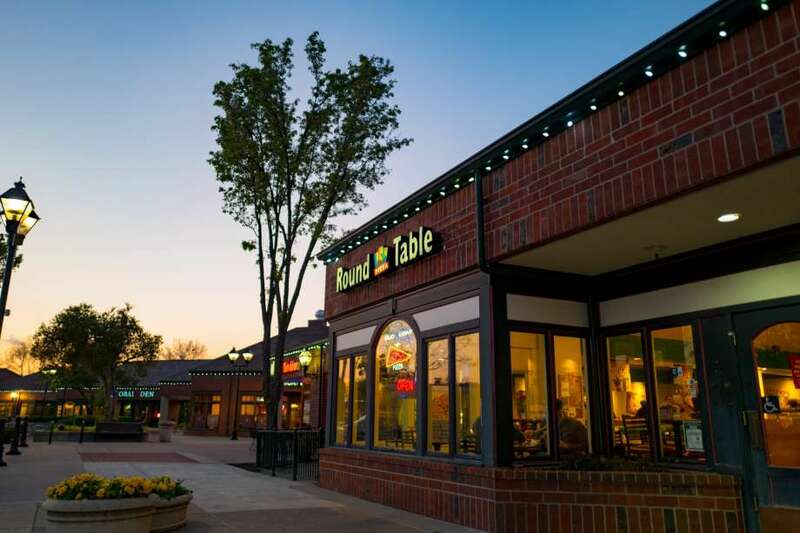 Round Table Pizza has operated under several different models, including private ownership and employee ownership. Today, it is owned by the same group that owns Great American Cookies and Pretzelmaker. Despite significant setbacks a decade ago when the company filed for Chapter 11 bankruptcy, it has recovered profitability, no doubt in part due to its continued commitment to fresh, delicious food. It’s dough, for example, is never frozen but made freshp in the stores every day with wheat grown in the United States. While you can find Round Table Pizza stores overseas, it predominantly operates on the west coast. Round Table Pizza is known for its fresh ingredients, fragrant sauces, and delicious crusts and its menu doesn’t skip on exciting new variations, either. The extra large size has sixteen slices while the personal size has only four; the other three sizes vary from six slices to twelve slices. The size variability Round Table offers is extremely helpful for families, especially, who have to manage multiple flavor interests. Customers can also order from a full menu’s worth of appetizers, sides, salads, and sandwiches, as well as take advantage of the buffet option at most locations. Take note, however, that the buffet option can only be enjoyed in the store! Most locations also offering catering as well as birthday parties and events. 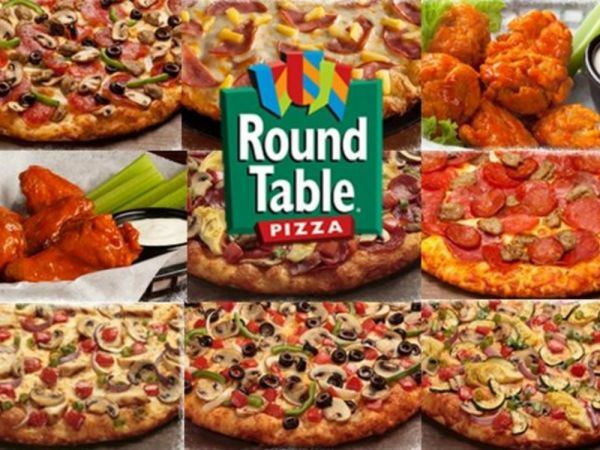 Round Table Pizza has hundreds of locations across California, Hawaii, Oregon, Nevada, and even Alaska and Arizona. Pricing and exact menu options vary by location (sometimes, for example, customers can add shrimp to certain premium pizzas) and delivery is not available at them all, but it is available at most. When you order online, you can choose to pick up your pizza in store or have it delivered. Round Table Pizza delivery works much like any other pizza company, and typically takes about an hour. The company explains on its FAQs page that sometimes delivery is unavailable online. Sometimes this is because the store does not deliver to your area, though you can also call the store directly to ask. Each franchise location may use its discretion to determine where it will order to and where it won’t. Delivery does cost extra (again, this varies by location), and it’s customary to tip the driver. In addition to delivery straight from Round Table, you may also be able to have Round Table pizza delivered via another delivery service, such as Postmates or GrubHub. To find out, check with your local area Round Table or check the delivery service app that you’d like to use. Hours vary widely based on location; each franchise can set its hours at its discretion. Most stores, however, are open to about 10 pm. Your Round Table Pizza restaurant will likely stop taking orders for delivery about an hour before the restaurant closes. If you’re using a service such as DoorDash, you can expect to pay an extra delivery fee straight to the app. For Round Table Pizza delivery, you can expect to pay somewhere between $5-$10 per delivery, with a minimum order. Once you’ve found your closest restaurant, you’ll to dine in, carry out, or have your pizza delivered. You’ll also select your expected order time--either now, or later. Then, you’ll select “begin your order.” Next, you’ll be prompted to enter your address (for delivery) or to make your order selection (carry out or dine in). Follow the prompts to complete your order and make your payment. What Do Customers Say About Round Table Pizza Delivery? Most Round Table Pizza reviews are only available by location, but fortunately, most of them are positive. Round Table Pizza isn’t without its detractors, but mostly it seems the company does a good job of keeping its customers satisfied. How Does Round Table Pizza Compare To The Competition? Round Table Pizza is certainly larger than most local mom and pop shops, but it’s still nowhere near as large as big chains like Pizza Hut. How does it stack up to the competition? We feel Round Table Pizza manages to create the local feel and attention to detail that we love in local restaurants while also making a great pizza that compares in price to deluxe pizzas from its biggest competitors. You’re probably not going to get your Round Table Pizza delivery as fast as you might get your Papa John pizza delivery, but the quality of your food will likely be much happier--and you’ll also have the benefit of Round Table Pizza’s full menu options, which include lots of delicious dishes for the people in your family who don’t want (or can’t eat) pizza. Don’t expect your pizza immediately, since it isn’t baked until you order it! Round Table Pizza delivery is timely and delicious. Enjoy! Hey Buddy!, I found this information for you: "Round Table Pizza Delivery 101: Areas, Hours, And Fees". Here is the website link: https://all2door.com/round-table-pizza-delivery/. Thank you.